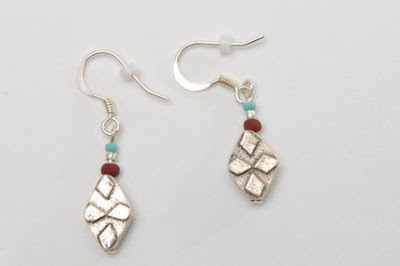 These earrings evoke a feeling of nature with their earth tone shades. They come on a sterling silver French hook. The Hill Tribe silver cross hangs from a sterling silver french hook. 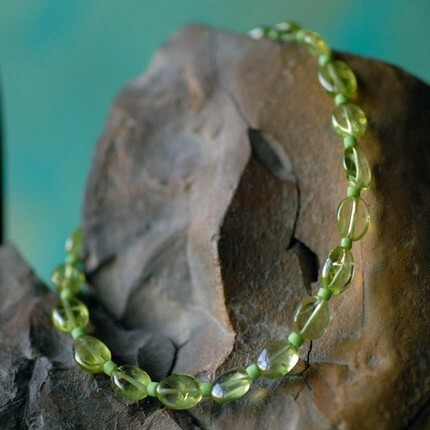 The soft colors of the green peridot, green seed bead, and sterling silver clasp combine into a bracelet that as Michelle says looks like Apple Jolly Ranchers. It really does and who doesn't love Apple Jolly Ranchers! 1. Check out Little Red Designs. Come back here and comment on your favorite item. Entries will be accepted until midnight Saturday. Check back Sunday to see if you are the winner! 1. 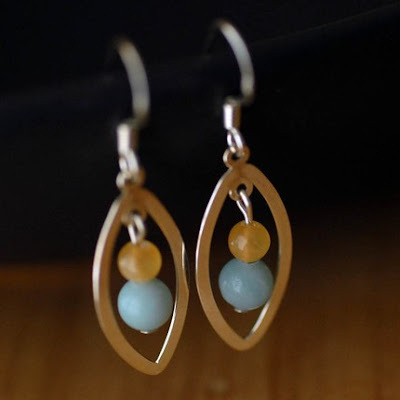 I like the silver sun and amazonite earrings . 2. I am a follower of Joy De Vivre Design . I'll stand back and hope some lucky woman wins these. That reminds me - I need to post a Thank you blog with a picture of Carries Diaries. I'm going to mention your "have you seen this etsy shop" feature. 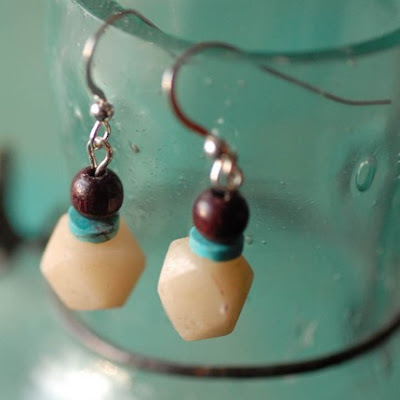 I like the amazonite honey jade and silver earrings the most. Also the pink seed and sterling bracelet. 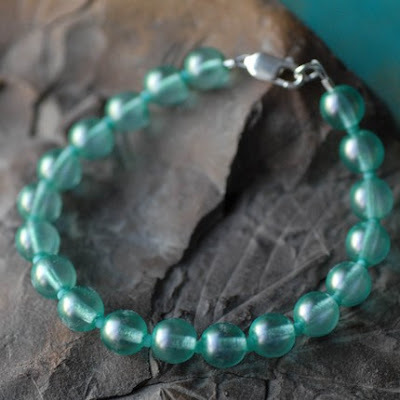 I love the Agate frame bracelet!!! So many beautiful pieces to choose from! I absolutely love the Swarovski cream rose crystal pearl and sterling silver tube bracelet. So pretty! Im one of your bog followers as well! Here's my favorite item.I gave it a heart.